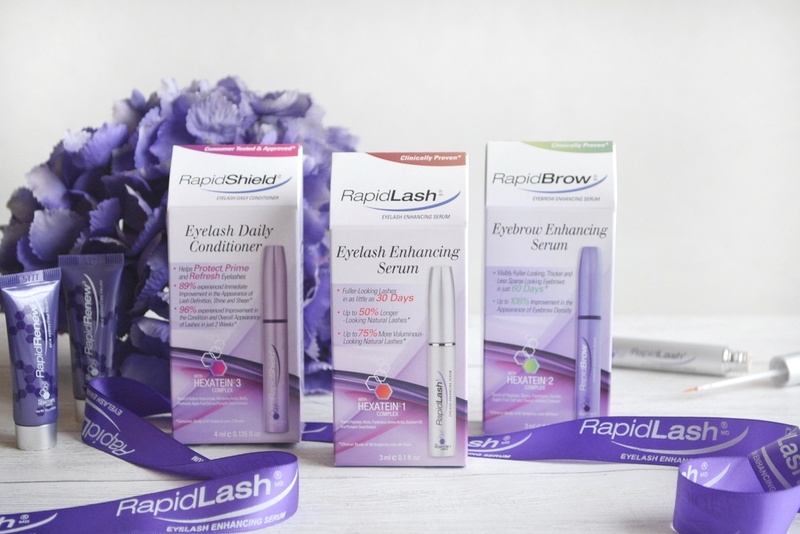 It's no secret that RapidLash is one of my number one beauty loves. I've mentioned the wonder-product a good few times already on this site (I swear to god none of it is sponsored....I just adore the serum! ), and it truly is one thing that I can turn to to help actually make a difference to my hair growth. When I'm bald, I start religiously applying it every day and genuinely notice a huge difference in how quickly the lashes grow back through. And when I have lashes, I still use it to keep the hairs in top condition to help prevent fall out and breakage (all that picking and pulling leaves some long-term damage!). 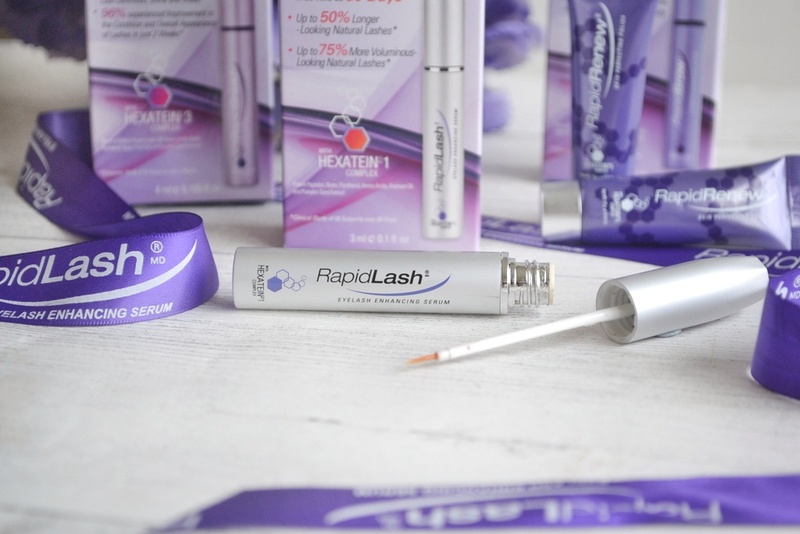 Whilst the only product I've mentioned on this blog is the RapidLash Lash Enhancing Serum, there is in fact a whole range of RapidLash products out there and so I want to showcase the rest of the family! The products vary in price depending on where you're shopping (I've always found Amazon/eBay the best places to buy), but in the run up to Christmas loads of shops may be doing their own offers on the range. So I'll start off with bae- the Lash Enhancing Serum. I won't go in to depth about this product because you can read my full reviews (/raves) about it here and also here if you so fancy. This is my go-to out of the collection mainly because of the applicator. The other products have a mascara wand, however this one doesn't, meaning that it's super easy to apply to bald lids- there's no need to have lashes to apply it to in the first place! I find I get incredible results with this product after only a few weeks and think it makes my lashes grow through much faster when I use this every day. It's the best one for hair loss and trichotillomania in my opinion. There's currently an offer on Feel Unique where this serum is down to £31.50 (from £40)! 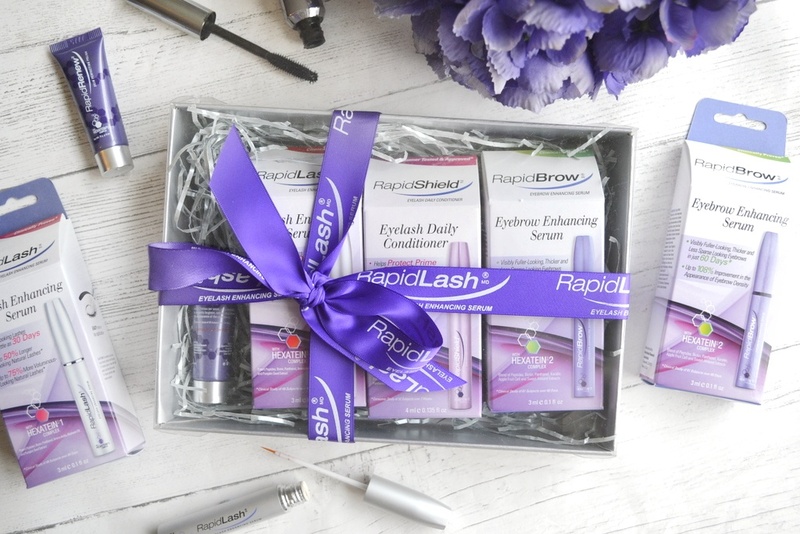 Next on the list is RapidBrow- another bestselling product of theirs that I know a lot of others rave about. Whilst this one does have the mascara wand (so not the best for those with hair loss), the unique Hexatein 2 Complex helps to ensure that your brows are kept in top notch condition. It's not so much aimed towards hair growth but more like conditioning and enhancing the hairs already there. The Complex contains a blend of polypeptides, keratin and biotin (usually found in products used to boost growth and strengthen hair) and Vitamin B5, apple fruit cell extract and sweet almond extract which serve to improve the appearance of brows (leaving them looking nourished and healthy). It's priced at £37 and I can't find any current offers, but keep an eye out for discounts on places like Feel Unique, Boots and Look Fantastic. 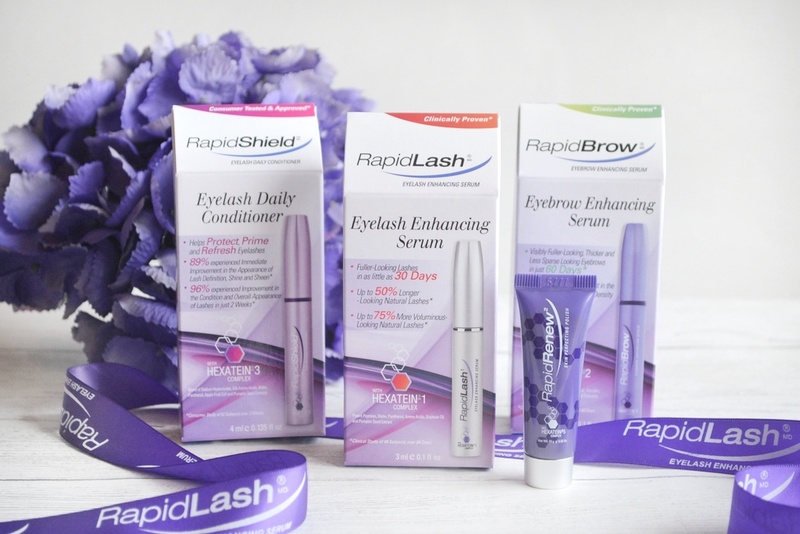 RapidShield serves the same purpose as RapidBrow, but for eyelashes. For use as a conditioning treatment, this product also has a mascara wand and can be applied both in the morning (sitting comfortably under mascara as it dries so quickly) and evening. 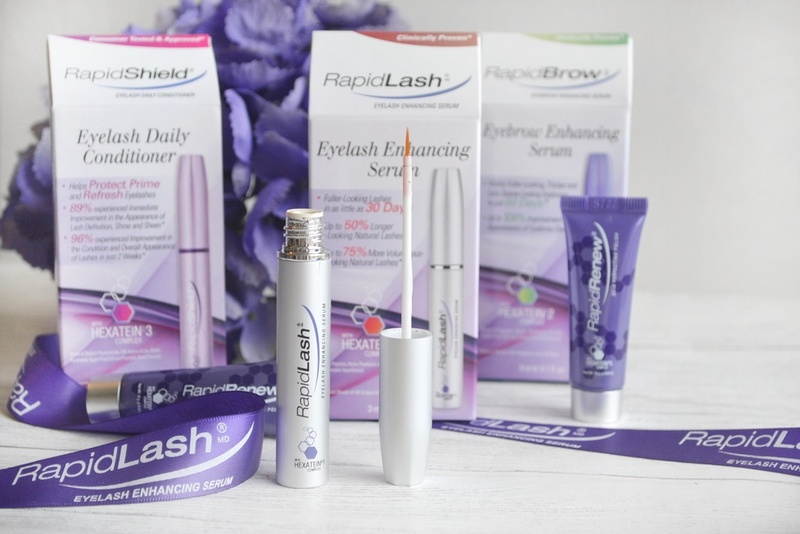 It can also be used in conjunction with the Lash Enchancing Serum if you want to go all out! The ingredient list (which is similar to RapidBrow) is all aimed towards improving the appearance of lashes, keeping moisture locked in and nourishing them to keep them looking as healthy as possible. The healthier the lashes, the less they break/fall out, and this in turn gives you with a fuller lash line. This product is one of the cheapest from the range at £28, and again it's worth looking out for any discount codes for the sites mentioned above! Until recently, I had no idea that the company had branched out to skincare- and I was immediately impressed! I first tried the RapidRenew product out when received by the brand after a day of filming and it came at the perfect time for me. I had problematic skin, and was looking around for an exfoliating product that would tick all the boxes. 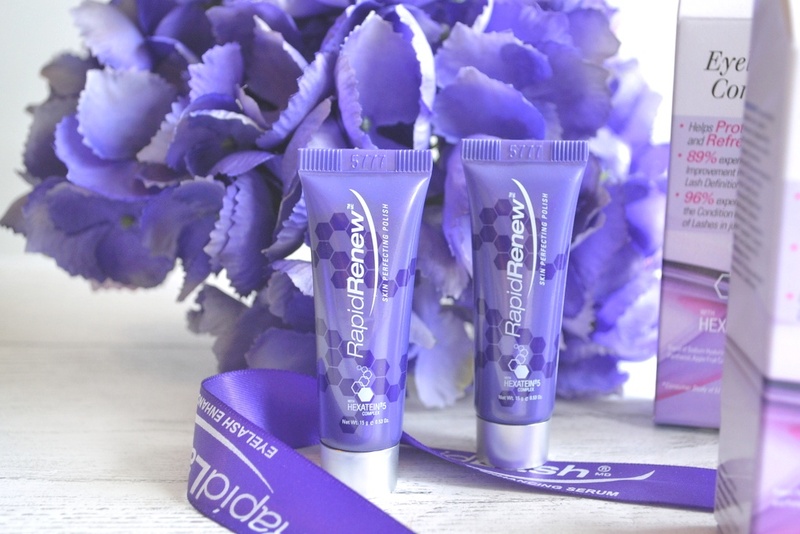 This Skin Perfecting Polish comes in a 72g on-theme purple tube and leaves skin feeling so soft (the ones in the photo are dinky sample sized tubes). Again it's packed full of unique ingredients which blend to create a product that is a super fine exfoliate; my skin feels incredible and looks radiant after using (if I do say so myself). There's a strange eucalyptus type scent which makes skin feel cooled and slightly tingly- odd at first but I've come to love it! In my opinion it is pricey at £34.99, and it's not the best if you have sensitive skin, but it's a random find that I've come to adore. Other additions to the range include a RapidEye (another skincare product in the form of a firming wrinkle smoother) and RapidHair which is a hair volumising formula meant to leave you with a shiny, bouncy mane. I haven't tried either of these products so can't report on them in full....but they exist, for your information! This post features press samples but, as always, my opinions are always 100% honest.